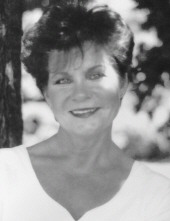 Deanna Fern Myers, age 81, of Westminster, died Thursday, April 11, 2019 at Carroll Hospice Dove House. Born February 4, 1938 in Gauley Bridge, WV, she was the daughter of the late Louis and Charlotte Suttle Munch. She was the wife of John R. Myers, her husband of 24 years. Deanna was a 1957 graduate of Franklin High School, Reisterstown and was a member of the Uniontown Bible Church. She was a self-employed florist, known as “The Flower Lady”, in Baltimore for 22 years prior to retirement. In addition to her husband she is survived by daughters, Deborah Kay Wilder and husband Michael of Virginia Beach, VA, Dolly Jill Harvey, Deanna Mae Murphy and Judith Carol “Jutz” Moreland and husband Dennis, all of Westminster; a son, Thomas Mark Harvey and wife Yanny of Cuero, TX and an adopted son, Rennie Brown of Houston, TX; 12 grandchildren, 8 great grandchildren; sisters, Judy Belle Lindsay and Julie Nell Munch, both of Westminster; mother-in-law, Helen Myers of Westminster; sisters-in-law, Jennifer Munch of Westminster, Robin Munch of Hanover, PA and Carol Fogle of Silver Run; brother-in-law, William Richard Myers and wife Joyce of Union Bridge and numerous nieces and nephews. She was predeceased by granddaughter, Faith Wilder; sister, Ardeana Gosnell; brothers, Thomas L. and Joe Munch and father-in-law, Gilbert Myers. A celebration of life service will be held at 4:00 p.m. Sunday, April 14 at the Uniontown Bible Church, with Pastor Tim Webster, officiating. The family will receive friends at the church from 3:00 p.m. until service time. In lieu of flowers, memorial contributions may be made to The Children’s Ministry of Uniontown Bible Church, 4272 Watson Lane, Union Bridge, MD 21791 or to The Dove House, 292 Stoner Ave., Westminster, MD 21157. To send flowers or a remembrance gift to the family of Deanna F. Myers, please visit our Tribute Store. "Email Address" would like to share the life celebration of Deanna F. Myers. Click on the "link" to go to share a favorite memory or leave a condolence message for the family.